In this fast-paced economy e-commerce allows even the smallest business to reach the global audience with its product or message at minimal cost. E-shops are open 24/7 and 365 days a year. The world’s largest retailer Walmart, with one billion dollars in sales per day. They could not anticipate the increasing wave of Internet business. GO-Gulf offers state of the art e-commerce and corporate solutions for businesses of any kind and any scale. A single point of access for information to make quick and accurate business decisions. The web portal are interactive, functional and user-friendly to navigate. Some of the benefits to web portals are business efficiency, rapid deployment, increase security, and efficient collaboration. To track the lead details and convert them into loyal customers, a systematic and structured leads management system is needed. It can be integrated with ERP or used as a separate lead management module. ERP aims at making the process effective and efficient by integrating all the software and applications used by the company. Integrated ERP software helps update all of the company departments with real time. ERP and lead management system benefits you in the following way; by establishing immediate contact with your clients, its an opportunity for you to show your clients that you are an expert in your field, and its allows you be in constant communication with your clients. An Intranet is a would be your mini private network. This would allows your employees of the business to communicate among themselves. 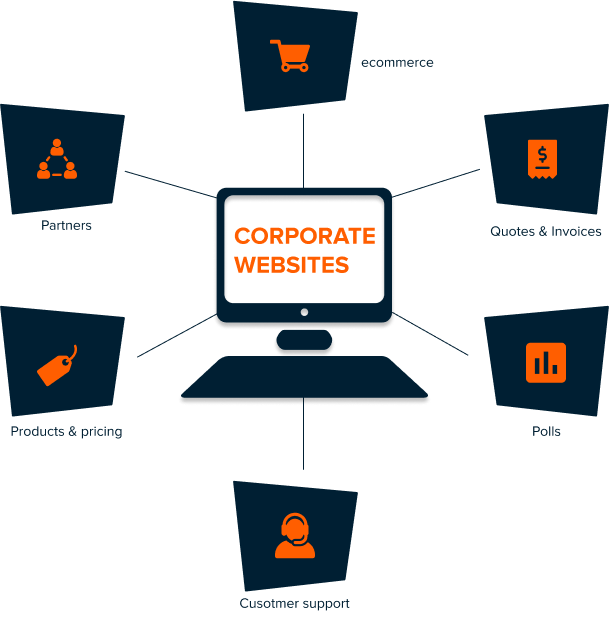 Extranet is a private network that securely shares information of a business with its customers, partners, suppliers or vendors. GO-Gulf provides all-in-one solution for internal and external business communication by integrating Extranet and Intranet. The integrated platform introduces single security policy, which includes single sign on access, unified antivirus and anti hacker tools. The centralized administration console provides unified business processes, reduces the errors, and reduces cost of product integration. Magento is a system that allows us to create and update online business or e-commerce business. GO-Gulf has an expert team dedicated to building, supporting and improving all Magento based developments.